Tomas Remiarz has been involved in creating and maintaining forest gardens across the UK and Europe for nearly 20 years. He is currently involved in a sustainable rural housing project project on a 7-acre site in Herefordshire. 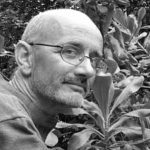 As a founder member of the Permaculture Association’s research advisory board he is particularly interested in studying polycultures and has produced several reports on the subject.